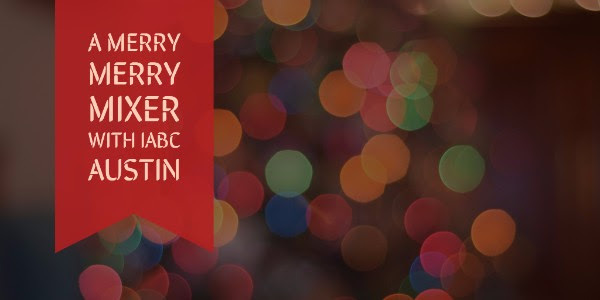 Get your holiday on with IABC Austin. Let’s celebrate the year’s communication successes with friends old and new at a holiday mixer. Tacky Christmas sweaters are optional. The event is free for IABC members and just $10 for nonmembers. Light hors d’oeuvres will be provided, and a cash bar will be available. We’ll be in the Living Room at the Jack & Ginger’s Pub in the Domain. Bring a friend and let’s make merry. DETAILS: Dec. 16 | 6-9 p.m.